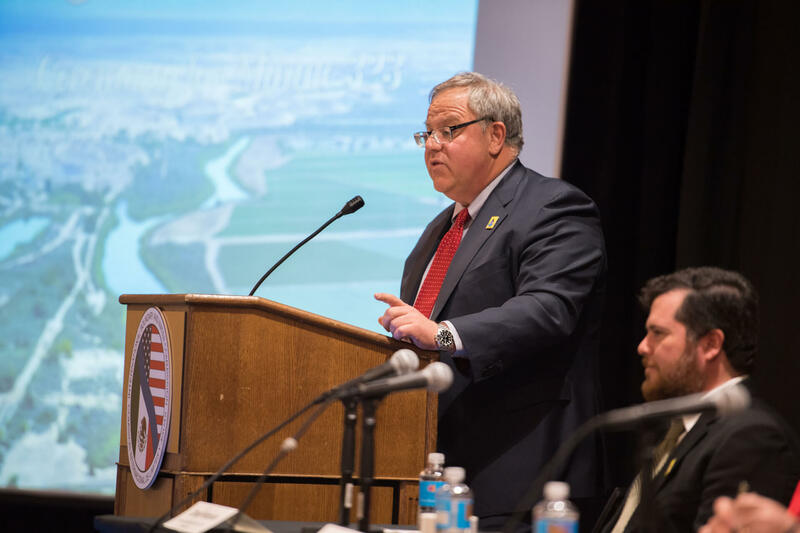 President Trump on Monday announced that he’ll nominate David Bernhardt, a former lobbyist for the Rosemont copper mine in Arizona and George W. Bush administration official, to become the next Interior secretary. If confirmed by the Senate, Bernhardt will take the reins of the agency that manages 70,000 employees and 500 million acres of federal land — about one-fifth of the land in the United States. He’ll also be tasked with carrying out some of the Trump administration’s most controversial energy and environmental policies. Bernhardt, a Colorado native, has been deputy secretary of Interior since July 2017. Prior to that, he was a lawyer and lobbyist in the Denver office of the firm Brownstein Hyatt Farber Schreck. There, he fought protections for endangered salmon on behalf of California’s Westlands Water District, Bloomberg reported. He also lobbied for Hudbay Minerals, the owner of the proposed Rosemont copper mine near Tucson. Bernhardt will face push back from outside groups who oppose his confirmation, but he’s likely to win support from the Senate, where Republicans hold a comfortable majority. Bernhardt was confirmed by a 53-43 vote in 2017. Conservatives were pleased to see Bernhardt’s formal nomination, which some have been expecting since Zinke’s departure. Robin Bravender is the Washington, D.C., bureau chief for The Newsroom, a network of state-based news outlets that includes Arizona Mirror.